! All over Monterey County, classic cars take to streets, golf courses, parks and the world-renowned Mazda Raceway Laguna Seca, surrounding visitors with automobiles from yesteryear. Click here for a full list of shows, auctions, driving events, races and more going on throughout the week. Monterey Auto Week wraps up with the exclusive Concours d’Elegance on Sunday, August 19th at Pebble Beach. Want to see these pricey classic cars but don’t have the budget to attend Concours d’Elegance? Check out this list of budget friendly ways to see some of these rare wheels. One of the most beloved Disney plays is performed at the Outdoor Forest Theatre in Carmel-by-the-Sea throughout the weekend. The Broadway screenplay of Beauty and the Beast will feature all Belle, the Beast and all of their other musical friends. Friday and Saturday at 7:30pm and Sunday at 2pm. Santa Rita and Mountain View Street, Carmel-by-the-Sea. $7-$35. Mama mia! 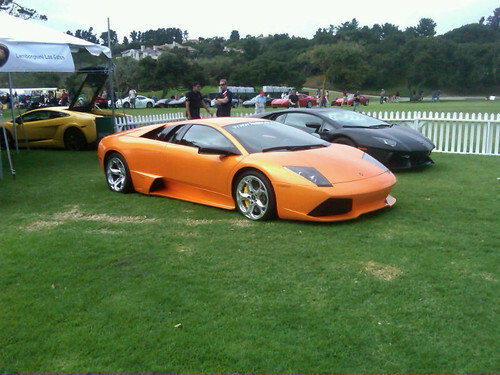 Souped up Italian automobiles converge at Laguna Seca Golf Ranch today during Concorso Italiano. More than 800 autos including Lamborghinis, Fiats and Ferraris will be on display with a side of Italian food, art and fashion. 9am-5pm, 10520 York Road, Monterey. $150. 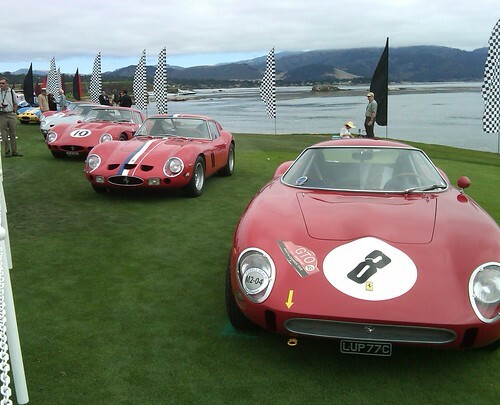 The Quail, A Motorsports Gathering takes place today at the Quail Lodge in sunny Carmel Valley. The gorgeous golf course will be sprawling with beautiful automotive designs and engineering feats. 10am-4pm, 8205 Valley Greens Drive, Carmel. Tickets are currently unavailable. Strapped for cash but really want to check out some classic cars? 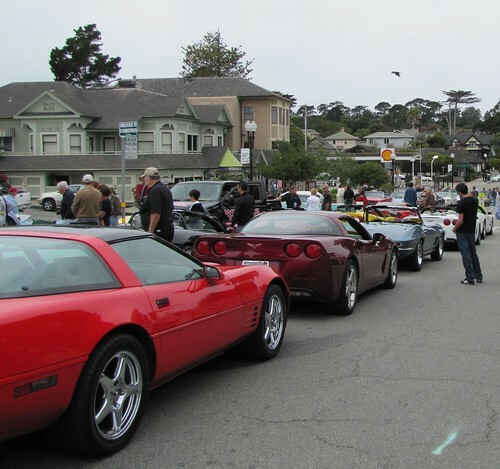 Head to Lighthouse Avenue in “America’s Last Hometown” for the Pacific Grove Auto Rally. This event is free for spectators and showcases phenomenal rare and classic rides. 1pm-5:30pm, Lighthouse Avenue, Pacific Grove. Free event. Local band Red Beans and Rice headlines today’s weekly concert at Carmel Plaza. Plaza restaurants serve up tasty treats and Paraiso Vineyards pours savory wine.5pm-7pm, Ocean Avenue and Mission Street, Carmel-by-the-Sea. Free event, food and drink package is $15. Funny man Adam Carolla takes center stage at the Sunset Center in Carmel-by-the-Sea tonight. His stand-up act is sure to be a hoot! Adam will also be at the Mazda Raceway Laguna Seca over the weekend defending his 2011 win at the Rolex Monterey Motorsports Reunion. 8pm, San Carlos Street at Ninth Avenue, Carmel-by-the-Sea. $75.50. Getting tired of seeing so many expensive and clean-cut cars around town? Head over to the Laguna Grande Park in Seaside for just the opposite at Concours d’Lemons. This special auto show is dedicated to the misfit motors and oddball oddities. 10am-1pm, 1249 Canyon Del Rey Blvd., Seaside. Free event. California Roots Summer Mix-Up jams today at the Monterey County Fairgrounds. Notable acts include Tribal Seeds, The Green and Thrive. Gates open at 2pm, 2004 Fairgrounds Road, Monterey. $25. The Bornia Boys Blues Band accompanies your shopping spree at the Del Monte Center this evening. These boys are no amateurs, they have performed at several Monterey Bay Blues Festival and other musical events. 5pm-7pm, 1410 Del Monte Center, Monterey. Free event. Want to see the jellies, sea otters and seahorses at night? 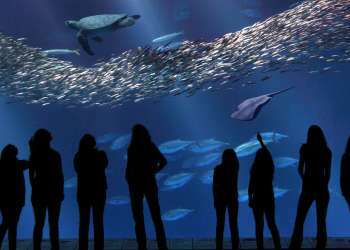 Stop by the Monterey Bay Aquarium and check out Evenings by the Bay where visitors can see their favorite animals while enjoying live music and special programs. 6pm-8pm, 886 Cannery Row, Monterey. Free with aquarium admission. Funk, rock and jam band 7 Come 11 play tonight at the Fernwood Tavern in Big Sur. 9pm, 47200 Highway One, Big Sur. Free event. Explore the canyons in Garland Ranch this morning with guides from the Monterey Peninsula Regional Parks District. Hikers will take various trails for beautiful views and vistas along the way. The 3 mile hike is expected to last three hours. Don’t forget to wear good shoes and to bring water and snacks. 9am, Garland Ranch Visitors Center, Carmel Valley. Free event. Today is the day for the grand finale of Monterey Auto Week. Concours d’Elegance exhibits some of the most unique pre-war and post-war cars, along with the latest in concept car design. Only the 175 best collector cars in the world roll on to the legendary eighteenth fairway at Pebble Beach, and only a handful of those will receive official recognition for the style, technical merit and historical accuracy of their vehicles. 10:30am-5:30pm, Pebble Beach. $600. 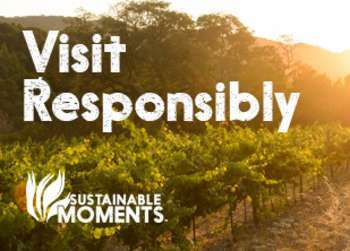 Relax at Carmel Valley winery Cima Collina today. Steve Goodwin plays live music while wine is poured and light refreshments are served. 2pm-5pm, 19 E. Carmel Valley Road, Carmel Valley. $10. Join the Big Sur River Inn this afternoon for live jazz music from Along Came Betty. Pull up a chair and relax in the Big Sur River. 1pm-4pm, 46840 Highway One Big Sur. Free event. Come on out for another night of Evenings by the Bay. The Monterey Bay Aquarium is open late with all of the same great attractions and live music. 6pm-8pm, 886 Cannery Row, Monterey. Free with aquarium admission.